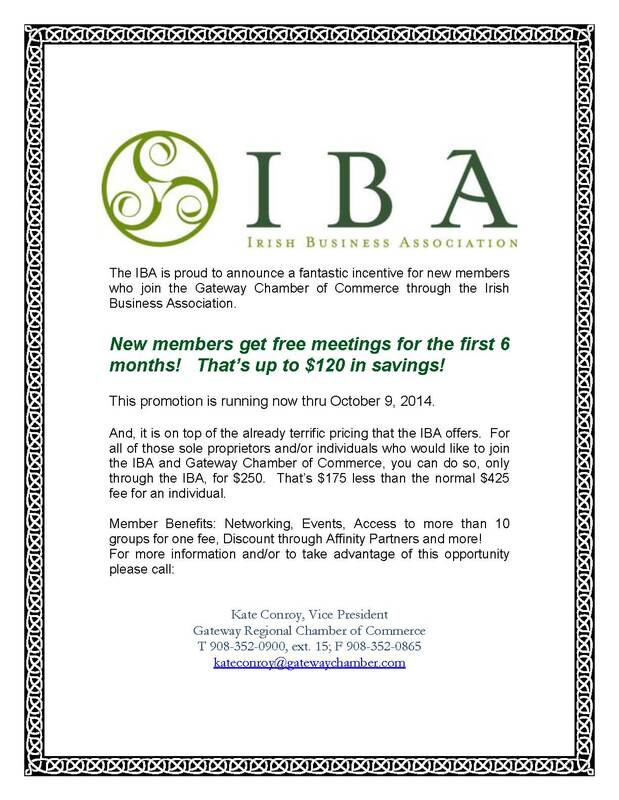 The IBA is proud to announce a fantastic incentive for new members who join the Gateway Chamber of Commerce through the Irish Business Association. Now thru October 9, new members get FREE meetings for the first 6 months. That’s up to $120 in savings! And, it is on top of the already terrific pricing that the IBA offers. 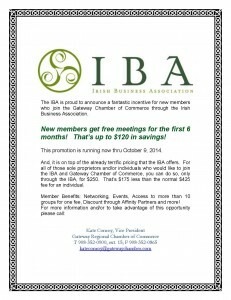 For all of those sole proprietors and/or individuals who would like to join the IBA and Gateway Chamber of Commerce, you can do so, only through the IBA, for $250. That’s $175 less than the normal $425 fee for an individual. Member Benefits: Networking, Events, Access to more than 10 groups for one fee, Discount through Affinity Partners and more! Or, join us for our next Golf, Whiskey & Cigar Event on Thursday October 9th.